Quickly create professional quality videos that you can share with anyone, on nearly any device – without formal training. 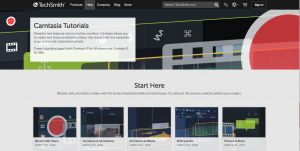 Use Camtasia to give presentations, train audiences, share knowledge, and more. Send an email to helpdesk@jccc.edu and say you want a copy of Camtasia Studio and if you need Windows or Macintosh versions.